This becomes extremely important at bedtime. Long gone are the days of stuffing the cribs with padding and stuffed animals with glass eyes and sewn on noses. With the wealth of information distributed by the CDC on SIDS risk, there are now more things to keep parents up at night than ever. Where do we begin to look for in a toy that is not only loved by our children but also safe for them to cuddle? The most important feature to consider when searching for a sleeping buddy is the age recommendation. Ask yourself, is your child even ready to appreciate a cuddle buddy in his/her crib? Do they like music lulling them to sleep? If the toy comes with batteries, how accessible are the small parts in the back? Does it come with a nightlight, and how durable are the internal parts? The process of finding a safe sleeping doll can be more intensive than anticipated, but don’t worry, we are here to help! Here are a few examples of dolls that can be used safely at bedtime. This soft and adorable doll is not only soft and plush but has an embroidered face and body to go along with it. Included with it is a rattle already built inside it, not only good for sleeping but for everyday playing too. This doll is perfect for the littler crowd, ages 6 to 24 months. Mooshka dolls make the perfect sleeping doll for your child, aged 2 years and up. These dolls are plush, with no small parts, which equals virtually no choking hazard. They make great cuddle buddies and some even sing when their hands are held. Contrary to popular belief, dolls are not just for little girls. This little dino baby is the perfect sleeping buddy for your little guy, aged 18 months and up. Comfortable lights and sounds emit with a squeeze of its tummy and it is machine washable. Sometimes, kids need that security blanket, or cuddle buddy to help them ease into dreamland each night. Don’t let the horror stories scare you from providing this comfort for your child. Doing the proper research on safe sleeping toys for your little one will not only please and comfort your child, but help you breathe easy as well. 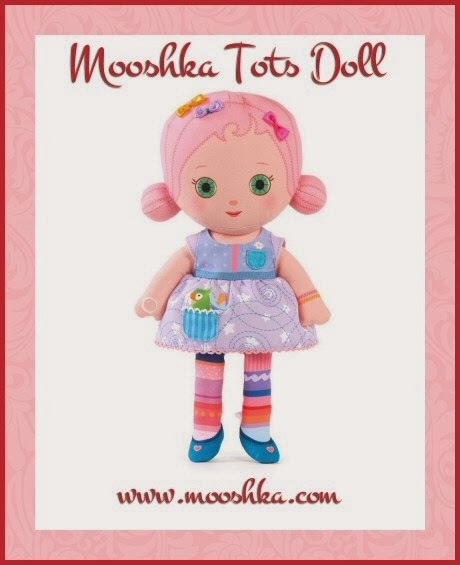 This article was contributed on behalf of Mooshka Dolls, by MGA Entertainment. Miranda Imperi is a writer and first time mom who values an organic and sustainable lifestyle. She strives to maintain quality content in the blogosphere and regularly contributes content our readers will enjoy! Are You a People Person? Make the Most of Your Natural Skills! Family Units – What Makes Yours? Kick off Your Holiday Season with Adore from Chris Tomlin!